I had found myself in the Gada Biu area on the morning of the 25th as I had to pass through on my way home. The night before I had received a call from family asking about my safety and it was only then I knew I was sadly finally going to get a taste of Jos crises, having by incidents of fate had my previous “residency” between the crises of December 2008 and January 2010. 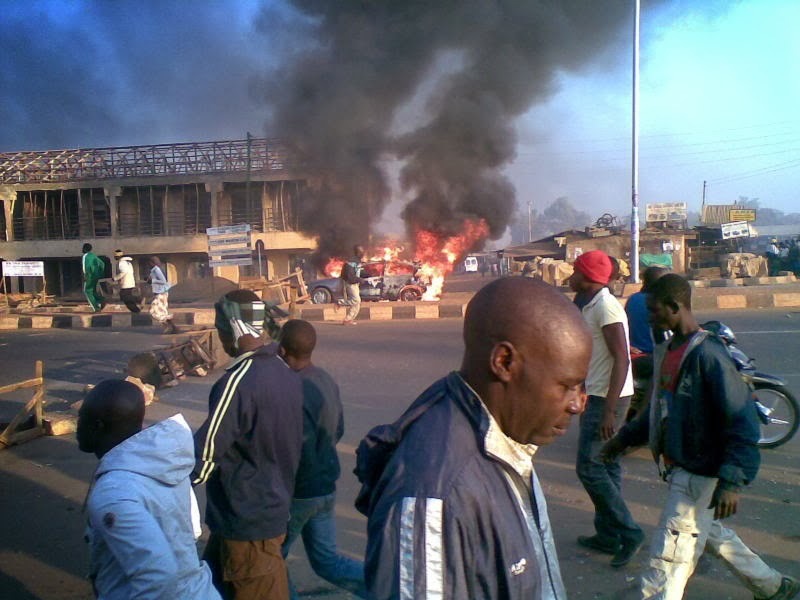 The story was that on Christmas Eve at about 7.30 pm several bombs had gone off in Angwan Rukuba and Gada Biu areas of Jos, both predominantly Christian areas killing a number of people and injuring many others. 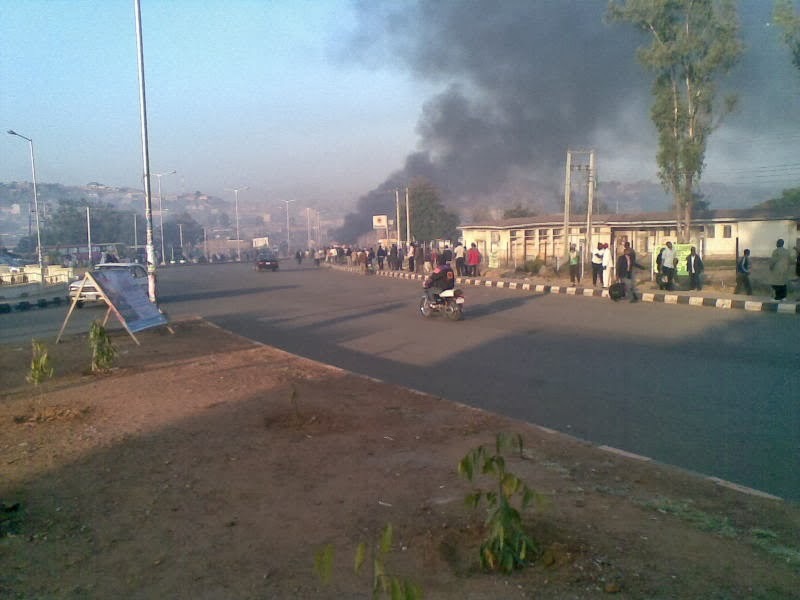 Everybody was shocked considering the relative peace of the Jos metropolis in the past 12 months. Equally many people were angry, mainly made up of the natives and resident Igbo settlers who felt the attacks were targeted against them and sadly retaliation started. 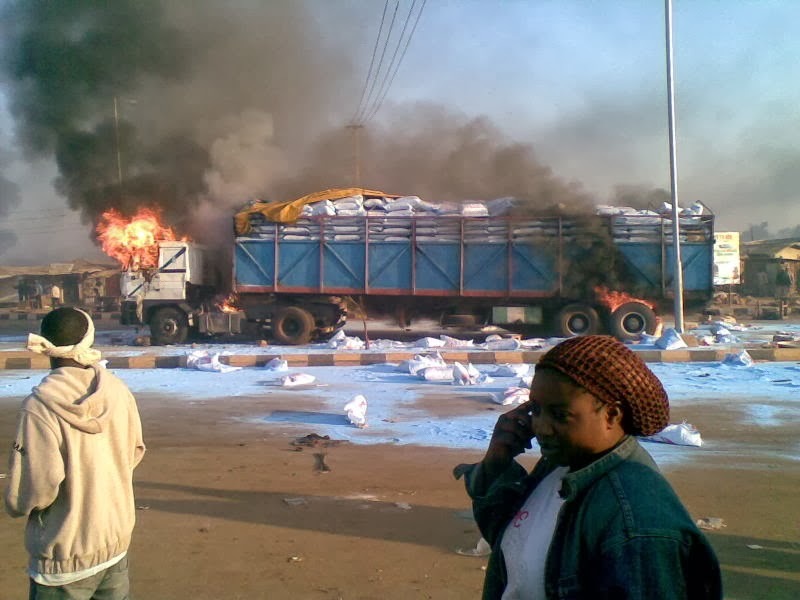 That was what I witnessed that morning as youths in annoyance burnt a truck filled with washing powder and some other small vehicles, all allegedly being driven by Muslims and battered small supposedly Muslim owned stalls. I even saw a man wearing a kaftan's dead body in the gutter. I left the area in a hurry and by 1.30pm when I passed through the area again in my bid to spend Christmas at my friends I saw that things had stabilized with security agents everywhere. 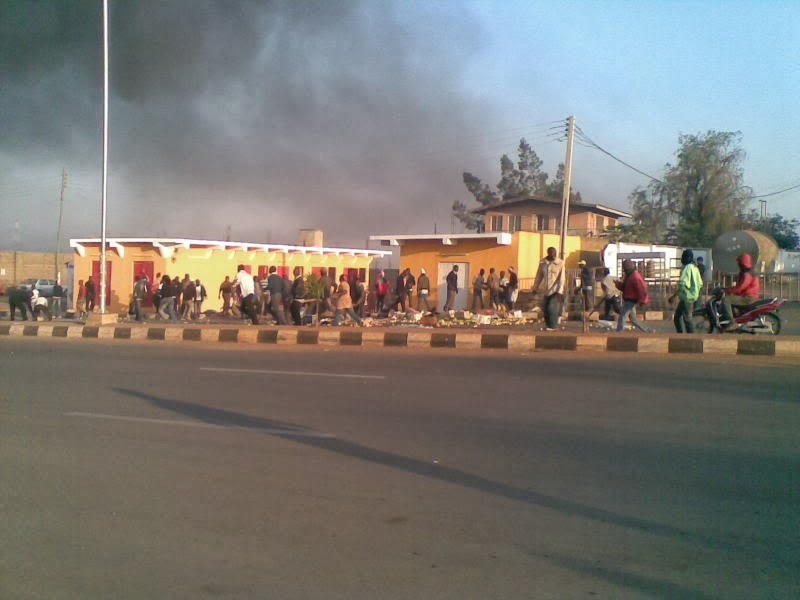 Sadly though it became a very quiet Christmas in Jos as most people decided to stay indoors. Businesses were locked up and the streets were devoid of cars with most people trekking their way to their various destinations. Rest in peace to those who lost their lives for merely being in the wrong place at the wrong time and I can only hope that things pick up in the coming days and restore itself to the state it was pre the bombings: I had gone for a little shopping at the Terminus market on the evening of the 24th around 5pm and the place was jam packed with everybody gearing up for Christmas day. If Chukwuemeka Odumegwu-Ojukwu​ were to pay a condolence visit to Yakubu Gowon over the now so many deaths resultant from muslim driven, sectarian violence on the Jos - Plateau, I would bet my last Kobo that the legendary Ojukwu, on reaching Gowon's domain, will give Gowon a "Good morning" even if their meeting was in the afternoon or late evening. Jos is on endless fire for obvious reasons. Pray that Jonathan and his men will do the right thing. Thank God 4 ur life Trae. If Chukwuemeka Odumegwu-Ojukwu were to pay a condolence visit to Yakubu Gowon over the now so many deaths resultant from muslim driven, sectarian violence on the Jos - Plateau, I would bet my last Kobo that the legendary Ojukwu, on reaching Gowon's domain, will give Gowon a "Good morning" even if their meeting was in the afternoon or late evening. Jos is on endless fire for obvious reasons. Pray that Jonathan and his men will do the right thing. It is becoming worrying that it's spurred by the SAME reasons all the time!! Waoo!dat sad wen would peace ever return!anyway careful.merry xmas all d same.